Canada is a federal state composed of 10 provinces2 and three territories.3 Each of the country's provinces and territories, with the exception of Quebec, follows a common law tradition; provincial laws in Quebec are rooted in civil law. Federally, international commercial arbitration is governed by the Commercial Arbitration Act9 (CAA) if Her Majesty the Queen in Right of Canada, a departmental corporation or a federal Crown corporation is a party, or if the dispute is in relation to maritime or admiralty matters.10 Thus, any investor–state claims brought under Articles 1116 or 1117 of the North American Free Trade Agreement (NAFTA)11 against Canada are governed by the federal CAA.12 There is no separate federal legislation to govern domestic arbitration matters because the CAA applies to all matters where a federal entity is a party. The result is that matters of international commercial arbitration may fall under provincial (based in either civil or common law), territorial or federal law depending on the nature of the dispute and the jurisdiction involved. Although similar in many respects, there are certain marked differences in international commercial arbitration legislation among Canadian jurisdictions. This situation can create unforeseen risk to inter-jurisdictional entities that might ultimately resort to arbitration in more than one jurisdiction, or to those choosing a city in Canada as a seat of arbitration, if they are not fully aware of the variations. One of the more significant developments affecting international arbitration across Canada as a whole in recent years is the work of the Uniform Law Conference of Canada's (ULCC) Working Group on Arbitration Legislation21 to address differences in international and domestic commercial arbitration legislation between Canadian jurisdictions. The ULCC was established in 1918 to promote uniformity of law throughout Canada, including through the preparation of model statutes to be recommended for adoption by the various provincial legislatures.22 In 1986, the ULCC sought to harmonise Canada's international arbitration legislation and developed a Uniform International Act as a template for Canadian jurisdictions to implement the Model Law.23 While this template was adopted in most Canadian jurisdictions, the provinces of British Columbia and Quebec proceeded in a different fashion by enacting their own, separate legislation based on the Model Law.24 Several other jurisdictions also made their own alterations to the ULCC's proposed legislation, leading to differences in form and substance for international commercial arbitration across the country. As a result, the lack of complete uniformity among the provinces has led to some discrepancies in how the courts have addressed arbitration issues. In response to the amendments contained in the 2006 Model Law, the ULCC undertook a review of the existing legislation, with the goal of developing recommendations for uniform legislation in Canada. As a result, a proposed Uniform International Commercial Arbitration Act (Uniform ICAA) was developed, and approved by the ULCC in 2014.25 The Uniform ICAA attaches the New York Convention as Schedule I,26 and the 2006 Model Law as Schedule II,27 both of which allow limited judicial intervention in international commercial arbitration disputes. In addition, the Uniform ICAA incorporates language similar to Article 34 of the Model Law to direct a uniform 10-year limitation period for applications to recognise and enforce awards under Articles III, IV and V of the New York Convention or Articles 35 and 36 of the 2006 Model Law.28 The Uniform ICAA also addresses the inter-jurisdictional enforcement of arbitral awards, proposing that once one Canadian court has recognised the award, it should be enforced elsewhere as a judgment of that court rather than as an arbitral award. While there is no obligation on the provinces, territories and federal government to adopt the Uniform ICAA, its influence has already been felt. In March 2017, Ontario enacted a new ICAA, incorporating central recommendations of the Uniform ICAA (including the incorporation of the New York Convention and the 2006 Model Law, and the adoption of a 10-year limitation period for applications to recognise and enforce arbitral awards). 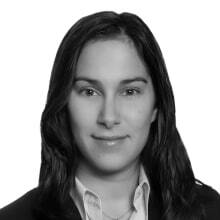 Jurisprudential developments in recent years have affirmed Canada's status as an arbitration-friendly jurisdiction. Recent decisions have confirmed the availability of a stay of legal proceedings in favour of arbitration and judicial respect for the jurisdiction and decisions of arbitral tribunals. In 2018, a number of courts across Canada issued decisions staying litigation proceedings in favour of arbitration. For example, in Trade Finance Solutions Inc v. Equinox Global Limited,29 the Court of Appeal for Ontario granted a stay of certain insurance-related litigation in favour of arbitration based on its interpretation of the dispute resolution clause in the underlying trade credit insurance agreement. The agreement provided: 'Any dispute arising in connection with this contract, including any question regarding its existence, validity or termination, shall be referred to and finally resolved by arbitration…'30 However, the agreement also contained an 'action against insurer' endorsement that stated that it applied '[i]n any action to enforce the obligations of the Underwriters'.31 The plaintiff argued that the 'action against insurers' endorsement excluded the application of the arbitration clause and required that the parties litigate instead. The court emphasised that 'alternative dispute resolution mechanisms, including arbitration, are among the means the international community has adopted to increase efficiency in economic relationships' and that 'unless there is legislative intention, the courts will generally give effect to the terms of a commercial contract freely entered into, including an arbitration clause'.34 The court also relied on the 2006 Model Law, which is a schedule to the International Commercial Arbitration Act, 201735 (as well as the prior legislation) and is in force in Ontario. Article 8 of the 2006 Model Law 'requires a court before which an action is brought in a matter that is the subject of an arbitration agreement to refer the parties to arbitration if it is arguable that: (i) the arbitration agreement is binding on the parties; and (ii) the claims at issue fall within the scope of the agreement. '36 The court concluded that both requirements were met in this case. Likewise, in the last year, the courts of the Northwest Territories and British Columbia also stayed litigation proceedings in favour of arbitration under the International Commercial Arbitration Act (Northwest Territories)37 and International Commercial Arbitration Act (British Columbia)38 respectively. For example, in Miller Sales et al v. Metso Minerals et al,39 the Court of Appeal of the Northwest Territories stayed litigation in favour of arbitration as a result of an arbitration clause in a distribution agreement, which provided that '[a]ny and all disputes of whatever nature arising between the parties of this Agreement… shall be submitted for final settlement by arbitration …'.40 The court relied on the Model Law (which is also a schedule to the Northwest Territories' International Commercial Arbitration Act) in staying the action. The court emphasised that the law favours giving effect to arbitration agreements. Canadian courts have also enforced foreign arbitral awards in the last year. For example, in Consolidated Contractors Group S.A.L. (Offshore) v. Ambatovy Minerals SA,46 the appellant challenged an international arbitration award on the basis that the award was made without jurisdiction, breach of procedural fairness and violated public policy. The application judge dismissed the application. The Court of Appeal for Ontario dismissed the appeal. The court relied on Articles 5 and 34 of the 2006 Model Law, which limit the scope of judicial oversight of international arbitration awards and the grounds on which an international award can be set aside by a domestic court. The court held that 'as a matter of principle, a reviewing court cannot set aside an international arbitral award simply because it believes that the arbitral tribunal wrongly decided a point of fact or law'47 and that there should be a high degree of deference to awards of international arbitral tribunals.48 Based on these principles and a review of the particular arguments made by the appellant with respect to jurisdiction, procedural fairness and public policy, the court declined to set aside the underlying award. Over the last year Canada, the United States and Mexico have also spent significant efforts renegotiating the NAFTA. To date, information gleaned from the negotiations has not contained much detail on what changes might be made to Chapter 11 and investor–state disputes settlement. Recently, the United States has proposed an 'opt-in' system for such disputes.68 In January 2018, both Canada and Mexico proposed an 'investment court system' that would mirror what is set out in the CETA or a bilateral investor–state dispute process that would be solely between Canada and Mexico.69 The negotiations on a new NAFTA, and any investor–state dispute settlement provisions therein, are still ongoing. Global Telecom Holdings SAE has initiated an arbitration before ICSID under the Canada–Egypt foreign investment promotion and protection agreement,71 one of the earlier FIPAs that Canada negotiated.72 On 28 May 2016, the claimant filed a request for arbitration with respect to its investment in the Canadian telecommunications market and mobile services, which it provided in Canada under the name 'Wind Mobile'. The claimant alleges that from 2008 to 2014, 'Canada failed to create a fair, competitive and favourable regulatory environment for new investors in this sector'.73 Canada's actions are alleged to have denied the claimant fair and equitable treatment and full protection and security, and to have breached the FIPA obligations by according preferential treatment to similarly situated national investors and investors from other states. Global Telecom Holdings SAE is claiming damages in the amount of at least C$1.32 billion.74 This dispute is the first known non-NAFTA investment treaty claim against the country.75 According to the timetable in procedural order No. 1 the parties are in the midst of document production and have addressed jurisdiction and bifurcation, however, the memorials on the same are not yet public.76 If this matter proceeds, the tribunal's determination on the FIPA language concerning frequently contested issues such as fair and equitable treatment will provide insight into how Canadian FIPAs with similar provisions may be interpreted. In other recent developments, on 1 June 2017, Tennant Energy, LLC initiated arbitration under NAFTA alleging that it was treated unfairly under the Feed-In Tariff programme in the province of Ontario with respect to its proposed wind farm project.105 The claimant is seeking damages of '[a]t least $116 million CDN' for the alleged breaches of NAFTA Article 1105.106 At this time, neither the notice of intent nor the notice of arbitration are publicly available. On 6 March 2018, the tribunal in Mercer International, Inc v. Canada rendered its award. The claim, brought by an investor over measures that involved the purchase and sale of electricity in the province of British Columbia, alleged that the manner in which such measures were implemented by the province, a provincial regulatory body and a provincial Crown corporation deprived the investor of its economic benefit from investing in a biomass-based generation facility.107 We previously discussed this claim in the fourth edition of The International Arbitration Review and the award is not yet publicly available. Canada has a well-supported reputation as an arbitration-friendly jurisdiction, and has developed significant jurisprudential authority on the importance of arbitration in the settlement of disputes. However, the existence of various provincial and federal arbitration statues, and the differences among and between them, has the potential to complicate arbitration and related proceedings in some circumstances. Ontario's recent adoption of the 2006 Model Law and the work towards uniformity in arbitration laws discussed in previous editions may signal that other jurisdictions will also modernise their international arbitration legislation. These efforts, combined with the ratification of the ICSID Convention and the resulting certainty and finality that is presented by this avenue of dispute resolution, suggest that international arbitration in Canada is likely to continue to gain prevalence. 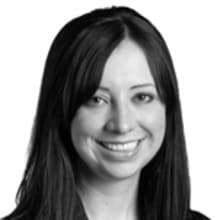 1 Rachel Howie and Chloe Snider are partners and Barbara Capes is an associate at Dentons. The authors also wish to thank Kurt Frederick and Steven Latos, students-at-law, for their research assistance. 2 Alberta, British Columbia, Manitoba, Ontario, New Brunswick, Newfoundland and Labrador, Nova Scotia, Prince Edward Island, Quebec and Saskatchewan. 3 The Northwest Territories, Nunavut and Yukon. 4 RSA 2000, c A-43. 5 RSA 2000, c I-5. 6 Similarly, the province of Ontario has legislation in the Arbitration Act, 1991 SO 1991, c 17 for domestic arbitrations, and the International Commercial Arbitration Act, 2017, SO 2017, c 2, Sched 5 (Ontario ICAA) for international commercial arbitrations. If international trade interests, including interprovincial trade interests, are involved in arbitration proceedings, consideration may be given, in interpreting this Title, to the Model Law on International Commercial Arbitration adopted by the United Nations Commission on International Trade Law on 21 June 1985, and its amendments. Recourse may also be had to documents related to that Model Law, including (1) the Report of the United Nations Commission on International Trade Law on its eighteenth session held in Vienna from 3 to 21 June 1985; and (2) the Analytical Commentary on the draft text of a model law on international commercial arbitration contained in the report of the Secretary-General to the eighteenth session of the United Nations Commission on International Trade Law. 9 RSC 1985, c 17. 10 Commercial Arbitration Act, RSC 1985, c 17 at Section 5(2). 11 North American Free Trade Agreement Between the Government of Canada, the Government of Mexico and the Government of the United States, 17 December 1992, Can TS 1994 No. 2, 32 ILM 289 (entered into force 1 January 1994). 12 CAA at Section 5(4)(a). 13 Model Law on International Commercial Arbitration, adopted by the United Nations Commission on International Trade Law on 21 June 1985. 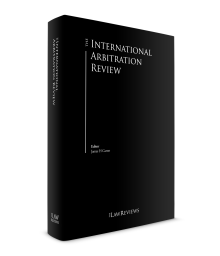 15 Model Law on International Commercial Arbitration, adopted by the United Nations Commission on International Trade Law on 21 June 1985, as amended by the United Nations Commission on International Trade Law on 7 July 2006. 16 Convention on the Recognition and Enforcement of Foreign Arbitral Awards, 10 June 1958, 330 UNTS 3, 21 UST 2517 (entered into force 7 June 1959). Canada ratified the New York Convention on 12 May 1986 with a declaration, on 20 May 1987, that 'it will apply the Convention only to differences arising out of legal relationships, whether contractual or not, which are considered as commercial under the national law of Canada'. This language is mirrored in Section 4(1) of the federal legislation implementing the New York Convention, the United Nations Foreign Arbitral Awards Convention Act, RSC 1985, c 16 (2nd Supp), entitled 'Limited to Commercial Matters', which reads '(t)he Convention applies only to differences arising out of commercial legal relationships, whether contractual or not'. For more detail on the declaration, see United Nations Treaty Collection, Convention on the Recognition and Enforcement of Foreign Arbitral Awards: United Nations, treaties.un.org/Pages/ViewDetails.aspx?src=TREATY&mtdsg_no=XXII-1&chapter=22&lang=en#EndDec. 17 See the Alberta ICAA at Section 8(1)(a) and the Ontario ICAA at Section 7(1)(a). 18 See the Alberta ICAA at Schedule 'B', Article 34 and the Ontario ICAA at Schedule 'B', Article 34. 19 CAA at Section 6. 20 Before amendments that came into force on 2 July 2003, Section 6 of the CAA also provided for recourse to the 'Federal Court or any superior, county or district court, except where the context otherwise requires'. Canada brought an application before the Federal Court in Canada (Attorney General) v. SD Myers Inc, 2004 FC 38, to set aside the decisions in SD Myers, Inc v. The Government of Canada, Final Award (30 December 2002): International Trade Law, www.italaw.com/sites/default/files/case-documents/ita0754.pdf; SD Myers Inc v. The Government of Canada, Partial Award on the Merits (2000), 40 ILM 1408; and SD Myers Inc v. The Government of Canada, Second Partial Award (21 October 2001): International Trade Law, www.italaw.com/sites/default/files/case-documents/ita0752.pdf, because the former version of the CAA stipulated such an application could be brought before the Federal Court. 21 For more detail, see the fourth edition of this Review. 22 For more information about the ULCC, see www.ulcc.ca/en. 23 The template proposes 15 sections of legislation and appends, in full, at Schedules A and B respectively, the New York Convention and Model Law. See ULCC, Uniform Acts, International Commercial Arbitration Act 1987: ULCC, www.ulcc.ca/en/uniform-acts-en-gb-1/462-international-commercial-arbitration-act/292-international-commercial-arbitration-act-1987. Code of Quebec, CQLR, c CCQ-1991 and the Code of Civil Procedure, CQLR, c C-25.01. See also the ULCC Working Group on Arbitration Legislation, 'Discussion Paper: Towards a New Uniform International Commercial Arbitration Act' (January 2013): Global Arbitration Review, www.globalarbitrationreview.com/cdn/files/gar/Articles/ULCC_Discussion_Paper_Towards_a_New_Uniform_International_Commercial_Arbitration.pdf. 25 ULCC, Final Report and Commentary of the Working Group on New Uniform Arbitration Legislation (March 2014): www.ulcc.ca/images/stories/2014_pdf_en/2014ulcc0014.pdf. 29 2018 ONCA 12 [Equinox]. 30 Ibid. at Paragraph 11. 32 Ibid. at Paragraph 39. 33 Ibid. at Paragraph 3. 34 Ibid. at Paragraph 50, citing Seidel v. Telui Communications Inc, 2011 SCC 15. 36 Equinox at Paragraphs 4 and 50. 37 RSNWT 1988, c I-6. 38 RSBC 1996, c. 233. 40 Ibid. at Paragraph 23. 43 RSBC 1996, c. 233, s. 8(1). 45 Ibid. at Paragraph 83. 47 Ibid. at Paragraph 23. 48 Ibid. at Paragraph 24. 49 2014 SCC 53 [Sattva]. 50 Ibid, at Paragraph 47. 51 2017 SCC 32 [Teal Cedar]. 52 Arbitration Act, RSBC 1996, c. 55, s. 31 [British Columbia's Arbitration Act]. 53 Teal Cedar at Paragraph 45. 54 Ibid, at Paragraph 74. 55 The Convention on the Settlement of Investment Disputes between States and Nationals of Other States, 18 March 1965, (1965) 4 ILM 524: ICSID, icsid.worldbank.org/en/Documents/icsiddocs/ICSID%20Convention%20English.pdf. 56 ICSID, List of Contracting States and Other Signatories of the Convention (as of 3 May 2017): icsid.worldbank.org/en/Pages/about/Database-of-Member-States.aspx. 57 In addition to the federal Settlement of International Investment Disputes Act, Ontario, British Columbia, Newfoundland and Labrador, Nunavut, the Northwest Territories, Saskatchewan and Alberta have all passed legislation to implement the ICSID Convention. See SO 1999, c 12, Sch D (Ontario); SBC 2006, c 16 (British Columbia); SN 2006, c S-13.3 (Newfoundland and Labrador); SNu 2006, c 13 (Nunavut); SNWT 2009, c 15 (Northwest Territories); SS 2006, c S-47.2 (Saskatchewan); SA 2013, c S-7.8 (Alberta, proclaimed into force on 17 February 2014). 58 The Mauritius Convention was signed on 17 March 2015, and was ratified on 5 June 2015. For more information, see UNCITRAL, UNCITRAL Texts & Status, United Nations Convention on Transparency in Treaty-based Investor–state Arbitration (New York, 2014): UNCITRAL, www.uncitral.org/uncitral/uncitral_texts/arbitration/2014Transparency_Convention.html. 60 Global Affairs Canada, Comprehensive and Progressive Agreement for Trans-Pacific Partnership, Frequently Asked Questions, http://www.international.gc.ca/trade-commerce/trade-agreements-accords-commerciaux/agr-acc/cptpp-ptpgp/faq.aspx?lang=eng. 61 Global Affairs Canada, Comprehensive and Progressive Agreement for Trans-Pacific Partnership, Article 1, http://international.gc.ca/trade-commerce/trade-agreements-accords-commerciaux/agr-acc/cptpp-ptpgp/text-texte/cptpp-ptpgp.aspx?lang=eng. 62 Government of Canada, Comprehensive and Progressive Agreement for Trans-Pacific Partnership, Annex, http://international.gc.ca/trade-commerce/trade-agreements-accords-commerciaux/agr-acc/cptpp-ptpgp/text-texte/cptpp-ptpgp.aspx?lang=eng. 63 Global Affairs Canada, Canada–European Union Comprehensive Economic and Trade Agreement: international.gc.ca/trade-commerce/trade-agreements-accords-commerciaux/agr-acc/ceta-aecg/text-texte/toc-tdm.aspx?lang=eng. 64 Global Affairs Canada, CETA, Chronology of events and key milestones, http://international.gc.ca/trade-commerce/trade-agreements-accords-commerciaux/agr-acc/ceta-aecg/chronology-chronologie.aspx?lang=eng. 65 Parliament of Canada, Bill C-30, Royal Assent, http://www.parl.ca/DocumentViewer/en/42-1/bill/C-30/royal-assent. 66 See footnote 51 at Article 8.27. The 15 members shall comprise five EU nationals, five Canadian nationals and five non-party third-country nationals. 67 Ibid. at Article 8.28. 68 The Canadian Press, 'Canada, Mexico tell U.S.: Decide whether you want a NAFTA dispute settlement process.' http://www.cbc.ca/news/politics/nafta-montreal-talks-january-28-1.4507990. 70 Global Affairs Canada, Cases Filed Against the Government of Canada: www.international.gc.ca/trade-agreements-accords-commerciaux/topics-domaines/disp-diff/gov.aspx?lang=eng, and Global Affairs Canada, Dispute Settlement, Foreign Investment Promotion and Protections Agreements (FIPAs): Global Affairs Canada, www.international.gc.ca/trade-agreements-accords-commerciaux/topics-domaines/disp-diff/index.aspx?lang=eng. 71 Global Affairs Canada, Agreement Between the Government of Canada and the Government of the Arab Republic of Egypt for the Promotion and Protection of Investments: treaty-accord.gc.ca/text-texte.aspx?id=101524&lang=eng. 72 Global Affairs Canada, Trade, Trade and Investment Agreements: www.international.gc.ca/trade-commerce/trade-agreements-accords-commerciaux/agr-acc/index.aspx?lang=eng. 73 Global Affairs Canada, Dispute Settlement, Global Telecom Holdings SAE v. Government of Canada: www.international.gc.ca/trade-agreements-accords-commerciaux/topics-domaines/disp-diff/gth_sae.aspx?lang=eng. 75 Douglas Thomson, 'Canada hit with first BIT claim', Global Arbitration Review (8 June 2016): globalarbitrationreview.com/article/1036392/canada-hit-with-first-bit-claim. 78 Government Resolute Forest Products Inc v. Government of Canada, Notice of Arbitration and Statement of Claim (30 December 2015), PCA Case No. 2016-13: www.pcacases.com/web/sendAttach/2045. 79 Ibid. at Paragraphs 3-6. 80 Ibid. at Paragraph 7. 82 Ibid. at Paragraph 89. 83 Ibid. at Paragraph 157. 84 Ibid. at Paragraph 178. 85 Ibid. at Paragraph 242. 87 Ibid. at Paragraphs 247-248. 88 Ibid. at Paragraphs 290-291. 89 Ibid. at Paragraph 314. 90 Ibid. at Paragraph 320. One aspect of the claim relating to interim measures to keep a mill in operation were also deemed inadmissible. 91 Clayton/Bilcon, Award on Jurisdiction and Liability (17 March 2015), PCA Case No. 2009-04: FAITC, www.international.gc.ca/trade-agreements-accords-commerciaux/assets/pdfs/disp-diff/clayton-12.pdf. 93 Attorney General of Canada v. Clayton/Bilcon, Notice of Application (16 June 2015), Toronto T-1000-15 (FC), Paragraph 15. 95 Clayton/Bilcon, Procedural Order No. 19 (10 August 2015), PCA Case No. 2009-04: PCA, www.pcacases.com/web/sendAttach/1405. 96 Attorney General of Canada v. Clayton/Bilcon, 2016 FC 1035 (Prothonotary). 97 Attorney General of Canada v. Clayton/Bilcon, 2017 FC 214. 98 Attorney General of Canada v. Clayton/Bilcon, 2018 FCA 1. 99 Ibid. at Paragraph 9. 100 Ibid. at Paragraph 12. 101 Bilcon of Delaware et al v. Government of Canada, Press Release (6 February 2017), PCA Case No. 2009-14: PCA. 102 Bilcon of Delaware et al v. Government of Canada, Investors' Damages Memorial (10 March 2017), PCA Case No. 2009-04: PCA. 103 Bilcon of Delaware et al v. Government of Canada, Government of Canada Counter-Memorial on Damages (9 July 2017), PCA Case No. 2009-04: PCA. 104 Ibid. at Paragraph 8 et seq. and Bilcon of Delaware et al v. Government of Canada, Government of Canada Rejoinder Memorial on Damages (6 November 2017), PCA Case No. 2009-04: PCA. 105 Global Affairs Canada, Cases Filed Against the Government of Canada: http://www.international.gc.ca/trade-agreements-accords-commerciaux/topics-domaines/disp-diff/tennant.aspx?lang=eng. 107 Mercer International Inc. v. Government of Canada, Request for Arbitration (30 April 2012), ICSID Case No. ARB(AF)/12/3: ICSID.